It’s March now, but winter hasn’t given up. The skies are dreary and we are craving sunshine and bright flowers. 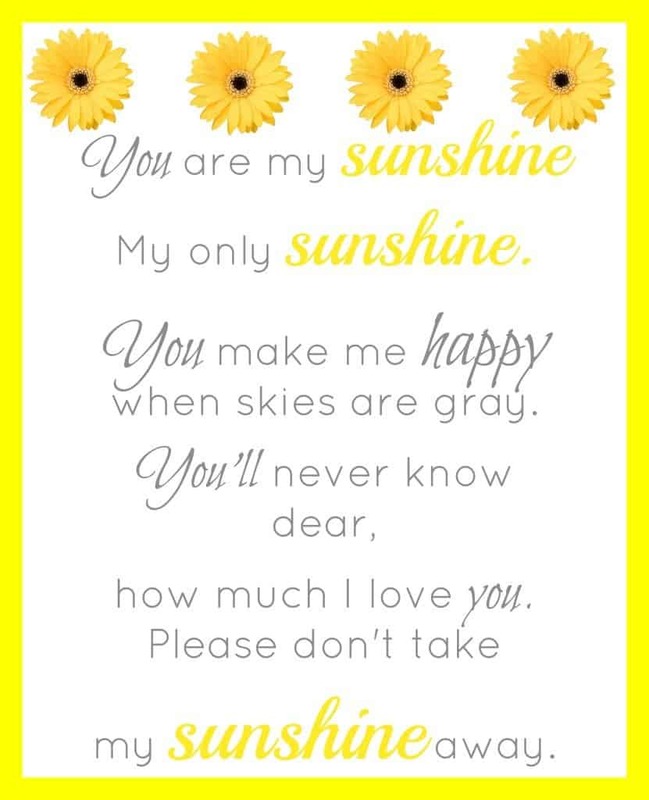 I created this You Are My Sunshine printable for my bathroom that I am re-doing in a yellow and gray theme and thought I would share it with you! This song is very special to me. I sing it to my babies. The bright yellow color makes me happy and the yellow flowers remind me of spring. Here’s to winter’s last gasp. A beautiful spring is coming! Just click on the picture above and print. Make sure you select 8×10 before you print, as this printable is designed to be printed as an 8×10!